The Head of Barker College, Mr Phillip Heath AM, established the Barker Institute at the end of 2014, combining the existing teaching, learning and research initiatives of the school with emerging trends in education. The Barker Institute was developed to facilitate and support the strategic plan of the school, aligning with key aspects of the vision for the future. It draws on much of the work done previously in the Research@Barker domain as well as the substantial body of work developed by Dr Greg Cunningham across the Teaching and Learning domain of the school. The Barker Institute allows the latest research and evidence to be used to improve teaching practice and student understanding, through meaningful interactions with staff, students and parents across all stages of learning. Key to this will be the establishment of strong learning networks amongst educators through the regular sharing of information, combined with the formation of collaborative partnerships with other institutions and educational organisations. As society and the students of the 21st century face continual developments in the use of emerging technology, socialisation and access to information, they need to be able to think creatively, problem solve and innovate to find solutions to the demands that they will encounter in their lives. Accompanied by these shifts in the access and the use of information, teaching practice needs to address these changes with strategic initiatives to ensure that we are catering for the needs and future learning of all students in our care. The Barker Institute was developed to facilitate and support the strategic plan of the school, aligning with key aspects of the vision for the future. 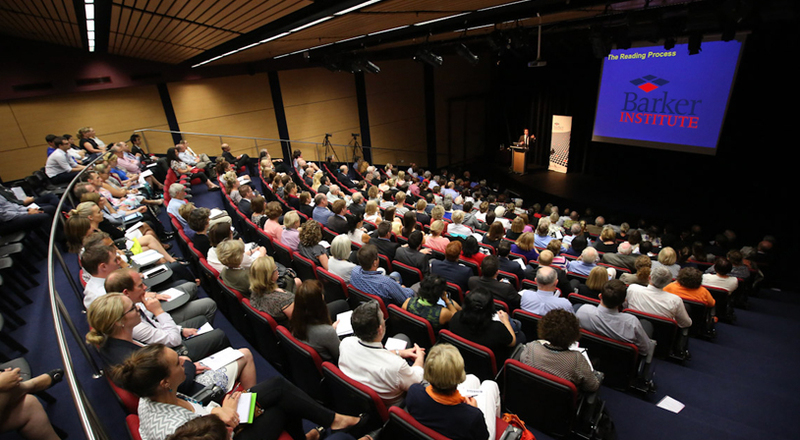 The underlying the focus of the Barker Institute is to contribute to the local, national and global discussion about education, while also offering ongoing professional learning to staff and the broader Barker community. Key to this will be a strong research base. Drawing on the key tenants of the ‘Inspiring Global Hope’ strategic plan which outlines our pathway until 2020, the Barker Institute aims to develop key goals aligned with the domains of ‘Education and Care’ and the ‘Innovation, Transformation and Leadership’, both of which place an emphasis on exploring and sharing new, innovative approaches to learning amongst the members of the Barker community. As the Barker Institute continues to develop there will be a range of courses, symposia, lectures and professional learning opportunities available for staff and external participants. Key to this future will be the development of reflective practice amongst staff through the ongoing sharing of the latest educational literature and effective strategies that enable a deep level of understanding and application to be realised across all learning experiences provided at Barker College.